NO BUS CHANGES for PRE-K and kindergarten students. LIMITED changes to Grades 1-5 for a permanent scheduledchange or emergency situation. Details explained below. POLICY DETAILS: We can not put a child on any bus but their own bus, and they may not get off at any other stop except their own stop, without a note from THE TRANSPORTATION DEPARTMENT. 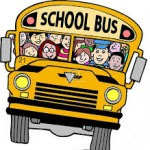 GRADES 1-5: If your child needs to ride a different bus other than his/her own bus or get off at a different stop other than his/her own, you need to submit this form (Bus Pass Gr 1-5) to the transportation department by 10:00 AM the morning of the switch. Only requests for extenuating circumstances will be accepted (no changes for play dates). Bus passes are to be used ONLY when making a PERMANENT regularly scheduled change or an emergency situation. If the pass is approved, transportation will notify the school office. The school office will notify the classroom teacher. NOTE: Form must be completed by 10:00 am on the morning of the bus change. Late requests will NOT be honored. 2. Transportation will notify the Georgetown office by 1 pm on the day of change. The bus driver will also receive notification of the change in transportation. Questions about policy go to Jane Bykerk, Director of Transportation. A Reminder of the Bus Pass policy! 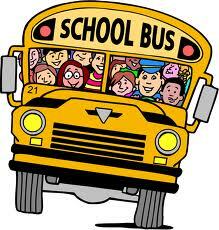 Beginning Fall 2013, changes in bus transportation for Grade 1-5 must be approved by the Transportation Director. Parents must submit a BUS PASS to the transportation office by 10:00 am the morning of the transportation change. Parents will be notified by 1:00 pm if the change is approved or denied. This policy applies to grades 1-5. Kindergarteners are NOT allowed to change busses. The Gr 1-5 Bus Pass can be found here.